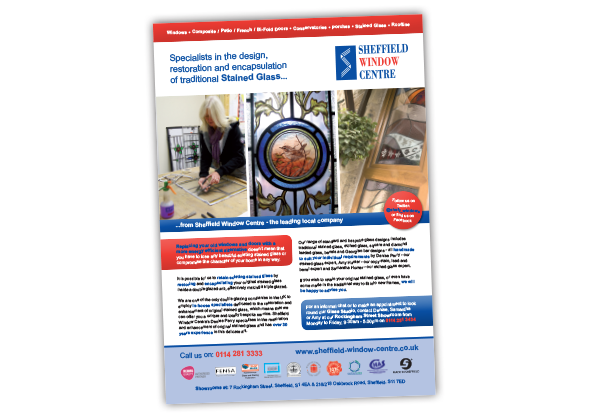 An A4 advert for Sheffield Window Centre featuring information about their specialist Stained Glass design, restoration and encapsulation service. The advert is to be published in various local magazines including Westside, Sixer, Dronfield Eye and Active8. 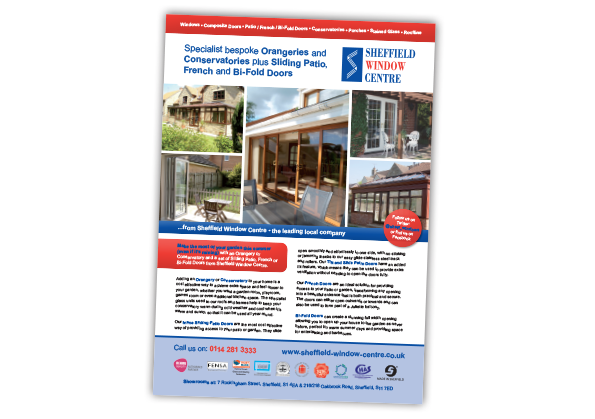 An A4 advert for Sheffield Window Centre featuring information about their Orangeries, Conservatories, Sliding Patio, French and Bi-Fold Doors which are all popular products during the summer months. The advert is to be published in various local magazines including Westside, Sixer, Dronfield Eye and Active8. 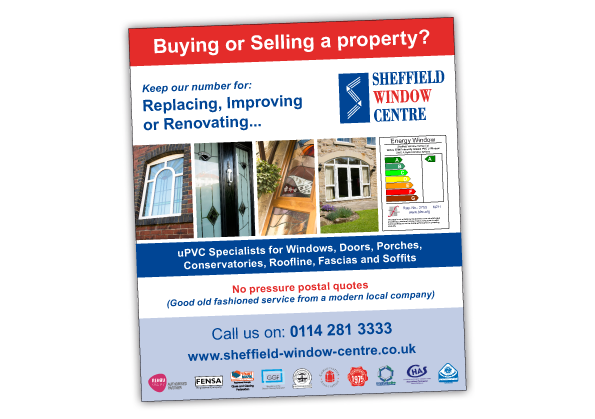 An 87mm x 100mm advert for Sheffield Window Centre to be printed on the cover of the Sheffield Telegraph – Property Guide section.